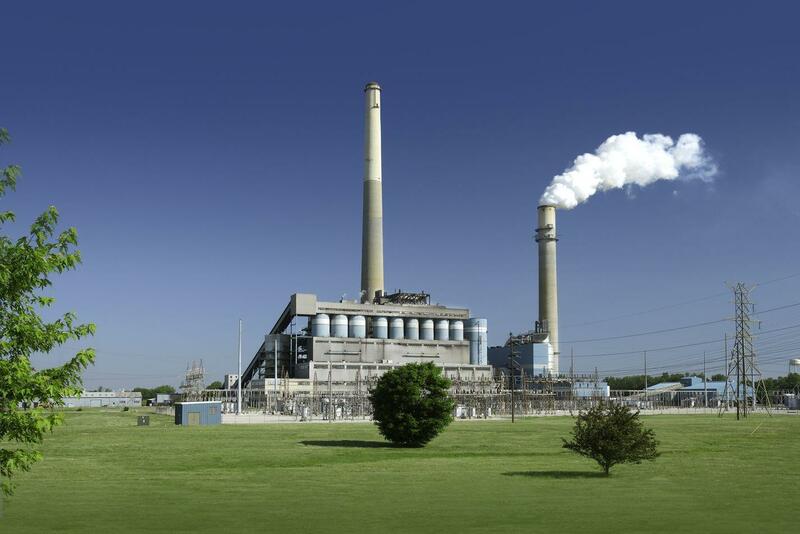 Owensboro's coal-fired Elmer Smith generating station will be shut down by 2023. Owensboro Municipal Utilities is switching to a different source of energy after more than 100 years of burning coal. There’s a lot of talk - and hope - among some Kentucky residents that coal will make a comeback. But Owensboro Municipal Utilities says it’s seen the writing on the wall and coal will be completely phased over the next six years. Sonya Dixon is a spokeswoman for OMU. Dixon says one factor in the decision is the age of the city’s Elmer Smith generating station. It is the only power station for the city and it has two coal-burning units that went online in 1964 and 1974. One unit will be shut down by 2019 and the second by 2023. An impending $37 million cost for the coal-fired plant to meet environmental regulations is another reason OMU decided to retire the Elmer Smith station. After in-depth studies, the Owensboro utility says coal is not the most cost-efficient way to generate power for its 26,000 residential and commercial customers. A dramatic market force is the lower price of natural gas. For that reason, the utility is considering options for future power that are mainly focused on natural gas. Dixon said the utility is examining the best option for a new source of energy. Dixon says the utility will continue to consider solar and other renewables as possible energy sources for the future. Kentucky manufacturers are confronting a problem facing the entire United States – a shortage of skilled workers for technically sophisticated industries. A recent study found that two million manufacturing jobs in the U.S. will go unfilled over the next decade due to a lack of trained workers. A program developed in the Owensboro region is confronting that shortage with an apprenticeship program called GO FAME. At Sun Windows in Owensboro, President Frank Anderson says the machinery for production gets more sophisticated every year. That’s the trend in advanced manufacturing and that’s the reason GO FAME was created. GO FAME stands for Greater Owensboro Federation of Advanced Manufacturing Education. Apprentices take classes two days a week at Owensboro Community and Technical College. Companies pay at least half the tuition and at least $12-an-hour for work time. Owensboro-Daviess County Regional Airport is getting a new flight school that trains pilots for Chinese airlines. Apus Air announced this week that it is constructing a flight training center at the airport. The project will create 35 jobs. CEO of the Greater Owensboro Economic Development Corporation Madison Silvert says the regional airport is a perfect fit for the company’s needs. “They were looking for an airport that had the right balance of runway links and amenities and low traffic so they could provide a confident environment for new trainees,” says Silvert. The California-based company is making an investment $1.65 million in the new facility. A new analysis from an environmental group takes a deep look at the potential health consequences of either retrofitting or retiring a Western Kentucky power plant. The Shawnee Fossil Plant is near Paducah, on the Ohio River. It’s a coal-fired power plant operated by the Tennessee Valley Authority. Right now, TVA is preparing to retrofit the plant with pollution controls so it can keep burning coal and comply with federal air pollution regulations. But in a draft document that will be finalized later this year, the company said it was evaluating the future of the Shawnee plant. And those two possible scenarios made Shawnee an attractive candidate for a Health Impact Assessment, said Deborah Payne of the Kentucky Environmental Foundation. “The intent of this project is to look at how health can be impacted either if they retrofit the plant and continue operation or if they retire the plant and close down, and the health impacts associated with that,” she said. The Kentucky Public Service Commission has signed off on a plan that lets Kentucky Power convert part of its Big Sandy power plant to natural gas. The power plant in Eastern Kentucky has burned coal for half a century. But it’s facing new regulations on mercury and other toxic emissions, and Kentucky Power determined installing updated pollution controls would be too expensive. Converting the smaller of Big Sandy’s two units to natural gas will cost an estimated $50 million, which will be passed on to ratepayers. The move will also keep part of the power plant open, and retain some jobs in the region. Last year, regulators approved a plan to shut down the plant’s larger unit and replace it with electricity generated at a coal-fired power plant in West Virginia. A new report says Kentucky is the worst state in the nation when it comes to toxic air pollution from coal-fired power plants. The analysis was released Thursday by the Natural Resources Defense Council and looked at emissions from power plants in 2010, the most recent data available.